Common moorhen duckling tests its boundaries in the wetlands. There are birds hidden and in plain sight all throughout the wetlands! 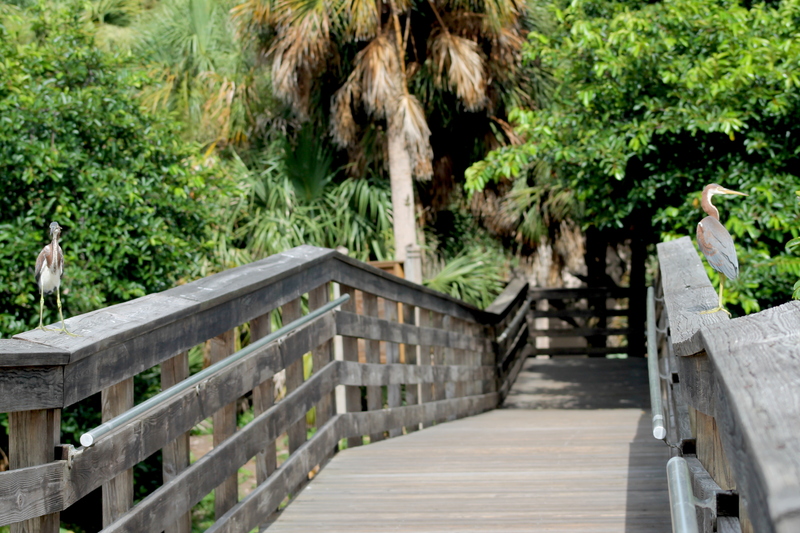 It is best to take your time on the short boardwalk, and watch nature come to life in your own stillness. An anhinga catches some rays. Another bird dries off its feathers in the breeze. A green heron stalks its prey. Some of the birds are just as curious as we are, such as this tricolored heron. A crazy heron! Look at that tongue! A male red-winged black bird. Look at the little baby! This guy didn’t look too friendly. He was very well hidden in the trees! Many different species of birds live in harmony, sharing the different islands of trees throughout the wetlands. A glossy ibis swoops over the wetlands. One of the most epic photobombs I’ve ever captured! Check out that iguana in the trees. A calm alligator coasts through the shallow water. Keep an eye out for plenty of fish and turtles! Egrets, herons, ibises, and cormorants all call the same place home. The birds flock here to have a safe home to raise their families amidst the suburban crawl of West Delray. 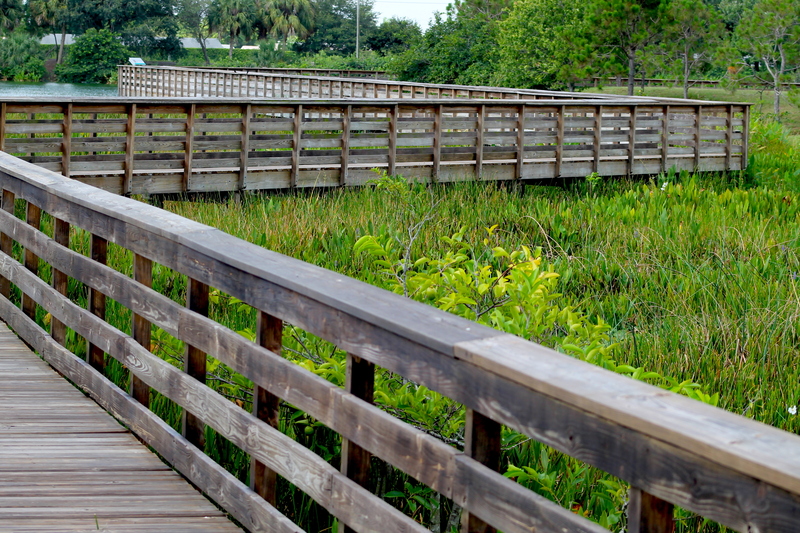 I highly recommend a stroll through Wakodahatchee Wetlands in Delray Beach, whether you want to go alone or with a group. This park is an example to other developing areas that proves that humans can coexist with other species. 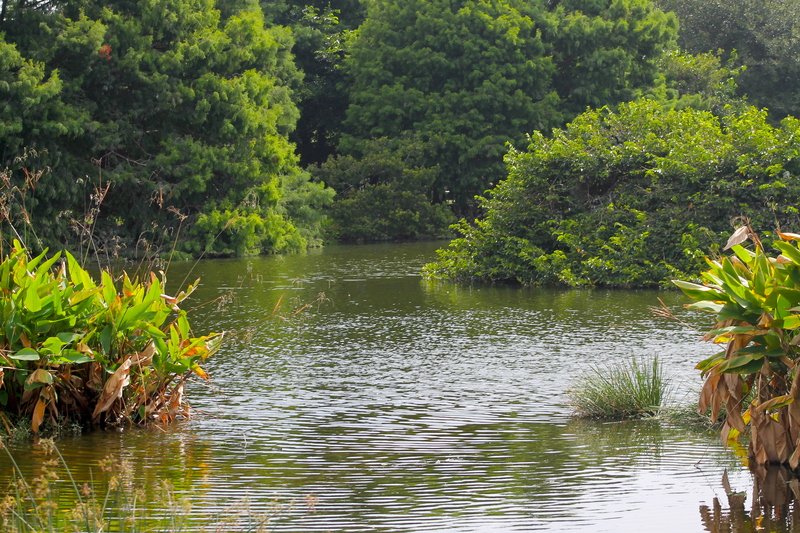 It is also a great opportunity to witness the majesty of South Florida’s waterbirds.